One chauffeured Rolls Royce limousine pulls up next to another. The rear passenger windows on the cars are lowered, and a voice from within the arriving vehicle says, “Pardon me, would you have a Pass Amplifier?” An inquiry like that would be ludicrous, as I thought when I first viewed the Grey Pupon Mustard commercial wherein one dining passenger inquires of the other whether they have a condiment. Grey Pupon did manage to distinguish itself in my mind by the ostentatiousness of that verbal exchange, and I ate my share of it! Class A amplifiers are like the Gray Pupon of the audiophile world, highly refined and to some, ostentatious. My first experience with a Class A amp was the Threshold T-50, and I knew little about them except they ran hot, were heavy and were supposed to sound better than most. I was getting a taste of the finer things in audio and had a severely restricted budget. As this was before the burgeoning popularity of high end audio websites I would visit the local purveyors of finer audio gear looking for cast-offs from wealthier audiophiles. Sucking up the jettisoned gear of wealthier patrons is a legitimate way to ascend the audio food chain. I regularly visited, I won’t admit to pestering, local audio dealers for deals. On one occasion I was given the dubious moniker of “The Bottom Feeder,” a reference to fish which feed off the bottom . I don’t think the dealer realized the error made by using that slightly derogatory illustration. I loved the analogy; as an avid aquarium hobbyist I had spent nearly as much time with tropical aquariums as I had on audio. Bottom feeders are amazing creatures and absolutely necessary for a water ecosystem. Whether in the water or in a dealership, a lack of bottom feeders means the leftovers builds up, which is not good for either environment! Afterward I would arrive announcing, “The Bottom Feeder is here,” working them hard for good deals on used and demo gear. My audio component “food source” is now decidedly toward the top of the chain, but I remember my days as a cast-off-component owner and encourage those who have to scrounge to do so with vigor and have fun with it! At one time while audio shopping I encountered the older but highly recommended Threshold T-50 Class A amplifier. I struggled with the idea of owning it as the company was defunct, making repairs difficult. It had only 50 Watts per channel, and I expressed my disappointment at the lower power rating since I had been leaning toward amps with about 200 Wpc. At the encouragement of the staff, who discussed Nelson Pass with an odd reverence not dissimilar to that afforded the Pope, I bought it and never regretted it. By the time the T-50 came along Threshold Nelson had moved on to begin his own company, but his influence continued in Threshold’s designs. As I presaged, the power switch did fail, but thankfully in the “On” position; I merely used the power cord as my On/Off switch. My introduction to systems using Magneplanar speakers were anchored by that amp and I will never forget how sweet the Threshold sounded in comparison to the Class A/B designs I had used. In later years I had rigs with Maggies that had more dynamic impact in conjunction with higher powered amps, but that Threshold made them sound forgiving. 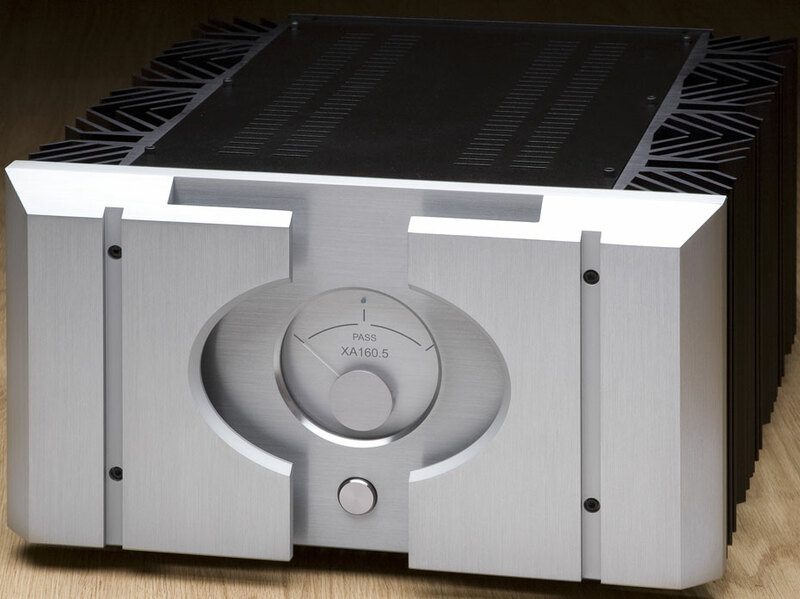 Twenty years later, I am pleased to write about the Pass XA160.5 Class A monoblock amplifier. There is a delicious fulfillment in life to be claimed when we are enabled to revisit enjoyable experiences of earlier days. I consider this review to be a particularly fine example of a return to the joys of Class A amplification. Quickly now, answer this question: Given you have $22,000 to spend, which would you rather have? A 600 wpc Class A/B X600.5, or a 160 wpc Class A XA160.5? Your answer may shed light on how you make decisions regarding procurement of audio gear. Do you tend toward pursuing a higher quantity of Watts? Or, do you prefer to consider the quality of those Watts, electing if necessary to accept a lower power rating in exchange for purer sound? While the higher purity of Class A amplification is not a certainty, it is unsurprisingly regular. The food industry certainly has convinced the public that quantity trumps quality, which contributes to there being so many fat people in America. At the health club that I just left to join the meat market where I exercise now, there is a poster in the hallway showing the average portion size in a restaurant in 1950 as compared to today. The 50’s portion looks to be about 1/3 the size of today’s portion, which is scary! It’s also unnerving to hear an amp designer discussing the inflation of power in solid state amps to serve inefficient speaker designs; amps with a lot of “fat.” The typical audiophile considers such amps to have a lot of “muscle,” but it could be argued that the bulk is more fat than sinew. I must confess that historically I have been a fan of big power and I do like the big numbers, especially since I have long been involved with panel speakers. There is no mistaking the benefit of the improved dynamic impact and transient response of the bass as a manufacturer’s amps increase in power. A notable example is the Jeff Rowland 501 monoblock amplifier, Class D amplification well done. 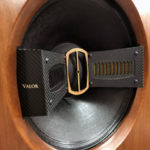 Put a pair of those on your speakers and likely you will not have heard it sound as “fast” or snappy, most notably in the bass. 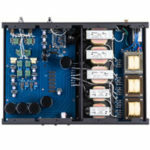 In this respect, higher power Class D amplifiers is a stark contrast to Pass Labs’ designs. But that is Class D, not the traditional Class A/B referred to in my earlier test. What of some A/B amps I have reviewed such as the Dussun V8i integrated, Coda CS, Cambridge Audio Azur 840W, or a hybrid like the Moscode 402AU? Does one always settle for lower clarity when opting for an A/B design? Frankly, unless using a product such as the Jones Audio PA-M300-1-2 currently under review, the answer will usually be yes, the overall cleanness will be noticeably poorer. In pursuit of quality, the XA160.5 distinguishes itself from a crowd of higher power amps. 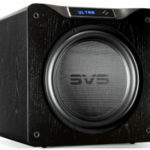 This review will explore how a 160 Wpc amp can more than hold its own with a slew of class A/B designs. One thing is certain, with its Armageddon-construction, if you dropped an XA160.5 onto an A/B amp in typical, thin chassis, it would crush it. Could it be said, however, that the XA160.5 crushes the competition? We will see. A Pass amplifier owner is only one hernia away from deeper appreciation of the massive build out of Nelson’s Class A designs. It’s one thing to see a prodigious amp on display; it’s another thing altogether to move one! The XA160.5 is getting “up there” in terms of bulk when one considers two are required for stereo — a combined weight of just over 300 pounds sans shipping crates. Thankfully, I have in my listening room a thick Berber carpet with half-inch underlay, which I insisted upon when I arranged the installation. Besides being a wonderful sound treatment for the room, the carpeting allows me to gently “walk” hulking amps like the XA160.5 on it to the amp stands. Unless you have an inch of cushy flooring beneath your feet to walk them about or the physique of an MMA fighter, I advise you solicit help when moving them. Not so thankfully, when I skooched them across the floor and into position I must have been too aggressive in walking them because it affected one of the front panel meters, resulting in limited movement. In speaking with Pass Labs about it, I was told that perhaps static charge was to blame. However, after all the easy fixes were tried, the needle still remained recalcitrant. So, if you are going to walk the amps, move them slowly and gently on no greater than a 45 degree angle to ensure the meter is unaffected. Best yet, unlike me, be smart and have someone help you move them. Thankfully, the Blue illuminated Bias meters are not in the audio circuit, but rather indicate the state of the power supply, so the sound is unaffected. Can you imagine my ongoing agony in having to stare at a broken meter? It tortures a system builder’s soul! I must be mellowing with age, however, as I am able to tolerate it. Had this happened ten years ago I would have bristled, sleepless until the meter read correctly. There are some positive aspects to aging as an audiophile; eventually my eyesight will worsen such that I will not be able to see the meters without corrective lenses anyway! A beefy amp like this takes up some shelf real estate; my amp stands fairly disappeared underneath them! 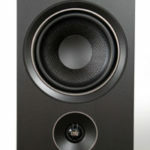 Do not anticipate slapping a pair of XA160.5 into your nifty glass or flimsy wood entertainment unit, as it may collapse. My amp stands, at about 20” x 12” x 22,” are nearly the exact dimensions of the amp itself. People who visit my room used to look at the amp stands along with everything else. Now they don’t look at the amp stands because they have disappeared underneath the hulk of the XA160.5! What a sight to behold it is! The seriousness of a Pass amplifier’s purpose is revealed in its impregnable façade. Massively — and when I say massively, I mean massively — thick brushed aluminum plates protect the power meter like the Gates of Kiev. Recall Emmerson Lake and Palmer? Conversely, the blue glowing “portal” of a meter reminds me of Stargate, prompting me to watch a cheesy Sci-Fi movie. Though I didn’t get the cheesy movie checked off of my reviewer’s checklist, I did play Guitar Hero with my youngest son as the amps powered the Legacy Audio Whisper DSW speakers. For Legacy fans flash news; the Whisper has been upgraded! I will have a complete report. Just because one is hearing cover bands and playing a video game air guitar, it doesn’t mean the sound cannot be premium quality! Though it’s about as far from audiophile media as one can get, the faux guitar licks of Guitar Hero sound different with a variety of amps that I have used, some having a more contrived nature and some more believable. Not so hard to believe is that Guitar Hero’s sound with the Pass amplifier was more convincing than most. One scarcely needs read further as this is irrefutable proof that the XA160.5 is superior for your needs! However, should you be so callow as to demand actual musical performances, these follow. In my interview with Nelson he said, “This is the entertainment business, not dialysis. Most of my customers want a break from the stress of their lives, and my job is to help them relax with the music. If a little levity in the Owner’s Manual helps, then it’s all part of the service.” I suspect that Nelson has put in superior effort on design and build quality such that his amps nearly sell themselves based on performance, allowing him to be lighthearted.